Even the most stubbornly culturally obstinate are familiar with the idea of a donk automobile. Though dismissed by most, it is a principle I understand. The idea of taking a modest Chevrolet Caprice and imposing a toy-influenced mania of excess to stretch the very concept of what a car is. 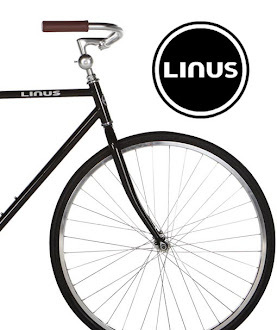 Frankly, I think it is more inspired than most art cars. Beyond these extreme examples, perhaps it is time for an academic reconsideration of the base mid-70s Oldsmobile/Caprice. Arguably the least successfully designed automobile of all time, from the darkest era of Detroit, the computer controlled carburetor smog equipment choked 305 engines mean the car was as big a mechanical failure was it was aesthetically. Perhaps there is something of the nature of a complete lack of grace that makes it a perfect canvas for the creation of folk art. To bring something of yourself and press it to the uninspired lines of an Oldsmobile Cutlass Supreme. 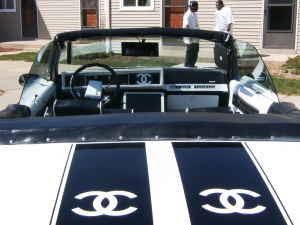 I doubt Coco Chanel would approve of the Chanel Cutlass, but I wonder what Karl Lagerfield would say.